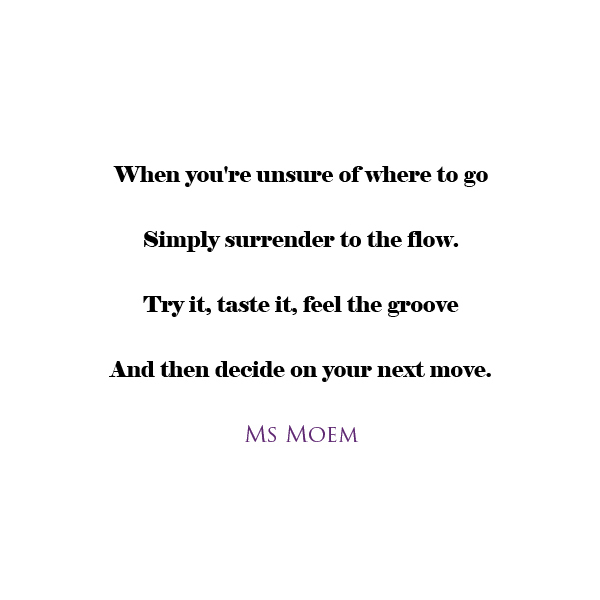 inspiration Archives | Ms Moem | Poems. Life. Etc. And all the wonder within it. Your lungs full of air. In the good, right and true. And always be proud of you! 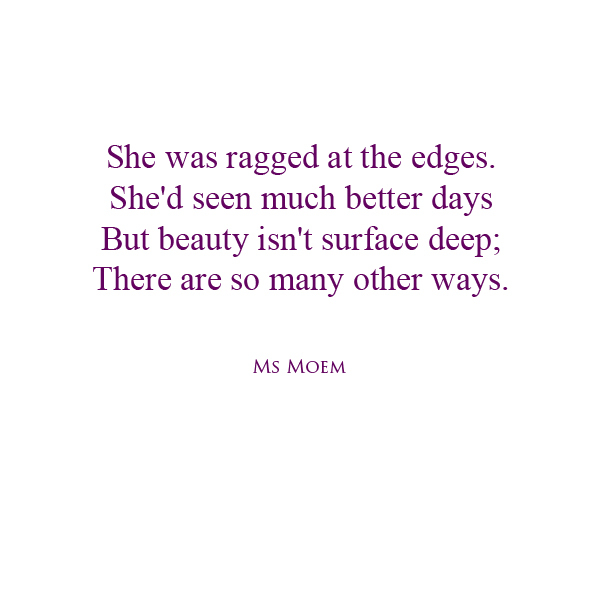 She was ragged at the edges. There are so many other ways. 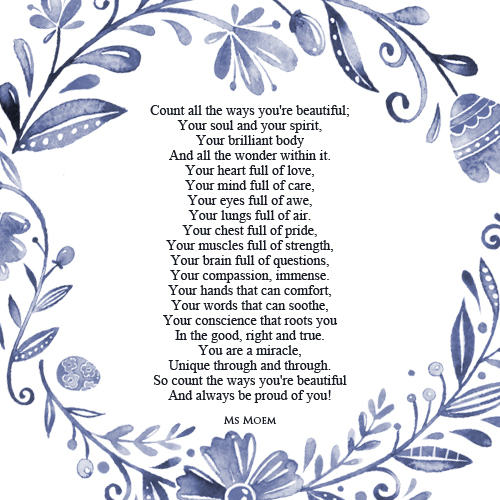 A short poem about beauty by Ms Moem. A complex dance of nature. pretending it’s your thing when it’s not. You’ve got the power and it’s within you. only means you ensure that it will never happen. So take a chance, and never stop swimming. 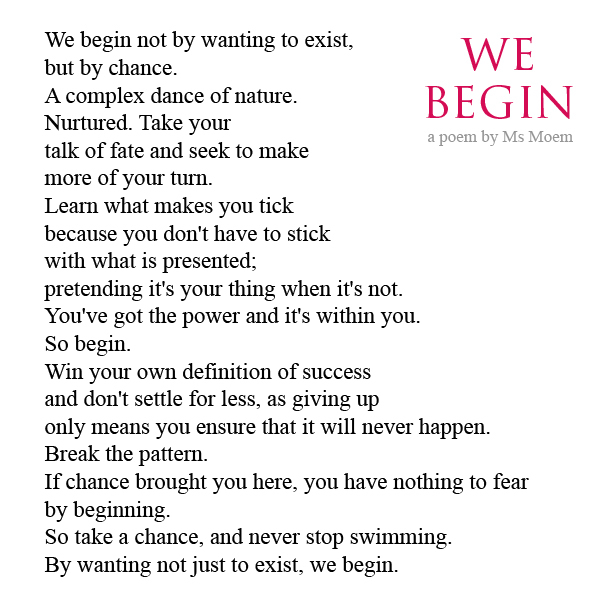 By wanting not just to exist, we begin. She has the soul of a storm and the freedom of the wind. She has eyes like the stars with moonshine within. She dances on the breeze of change wherever she goes. A whirling, swirling myriad of feelings & emotions. She is daughter of the earth, primordially inspired. She is water, she is wood. She is earth. She is fire! 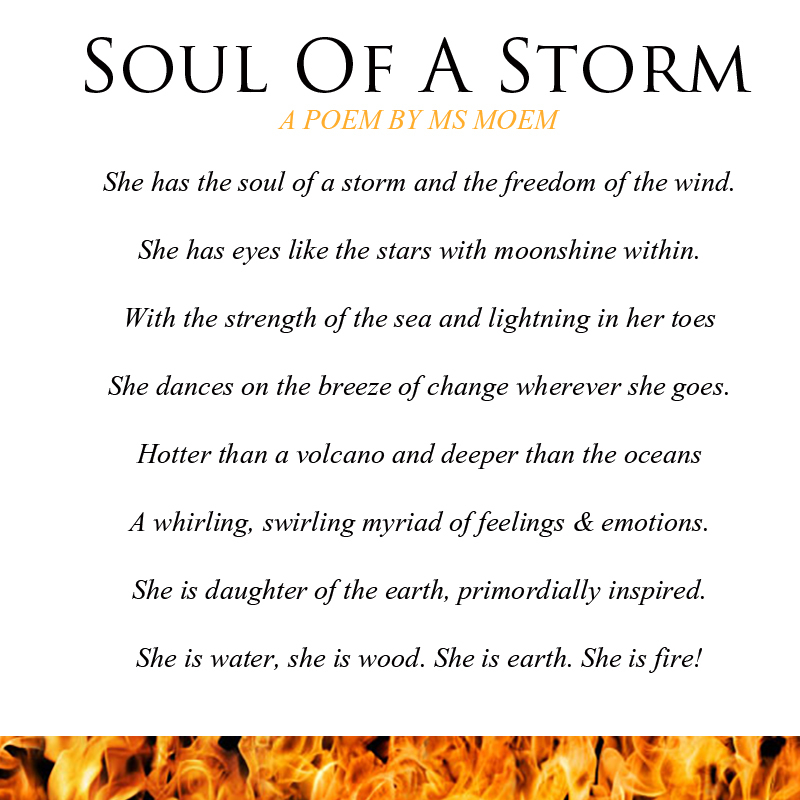 Soul Of A Storm is a short poem by Ms Moem. If you like this poem enough to want to own your very own copy, you can buy an instant download in my etsy store and print it yourself! 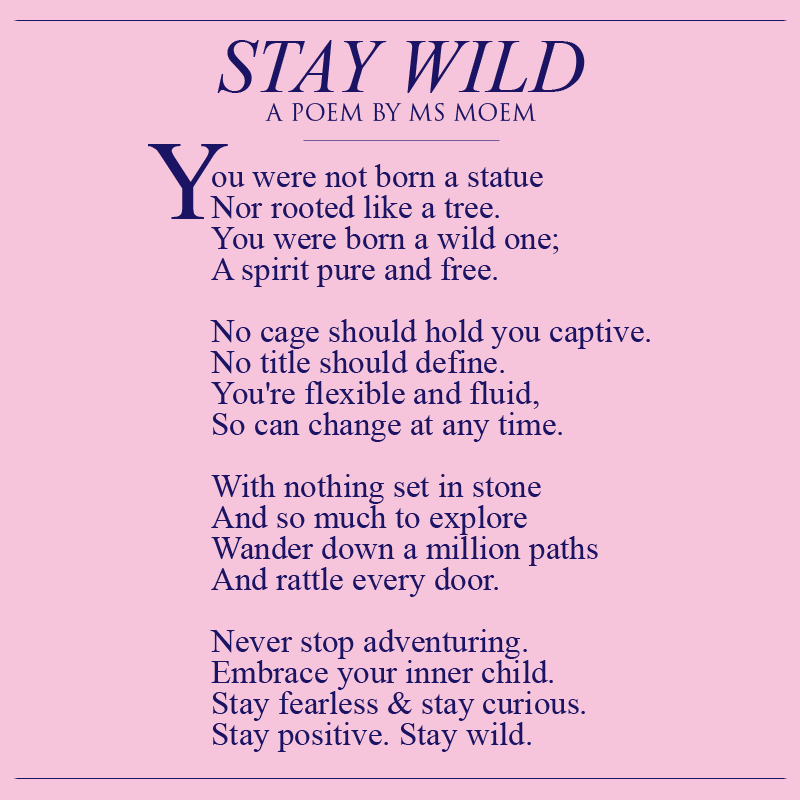 Thank you in advance for supporting my poetry! It means such a lot. Change the way that things are? Are we calling for kindness? We’ll be proud of forever? Do we care about others? Do we try to understand? Could we unite the globe? For the generations to come? 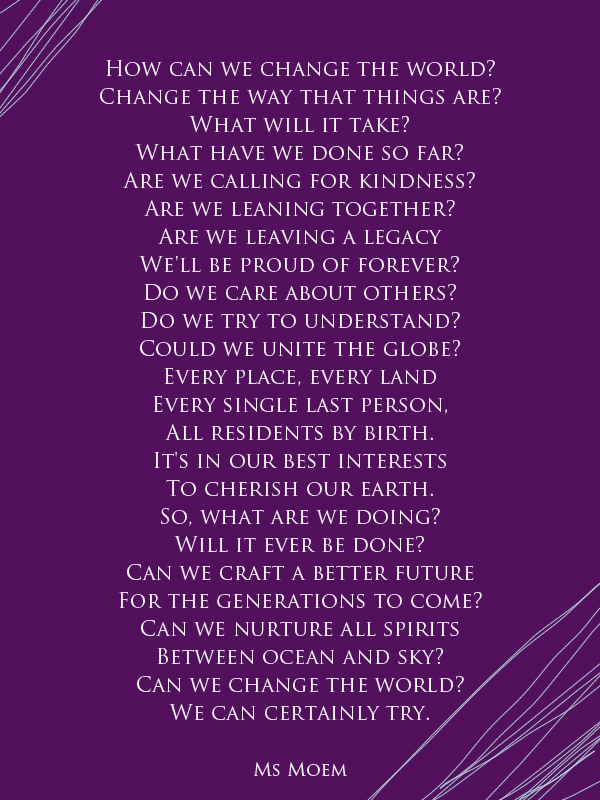 Change The World is a poem by Ms Moem. 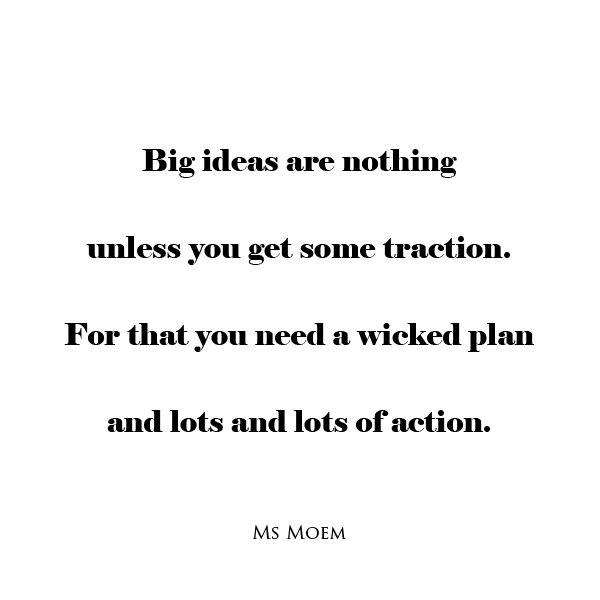 Unless you get some traction. And lots and lots of action. 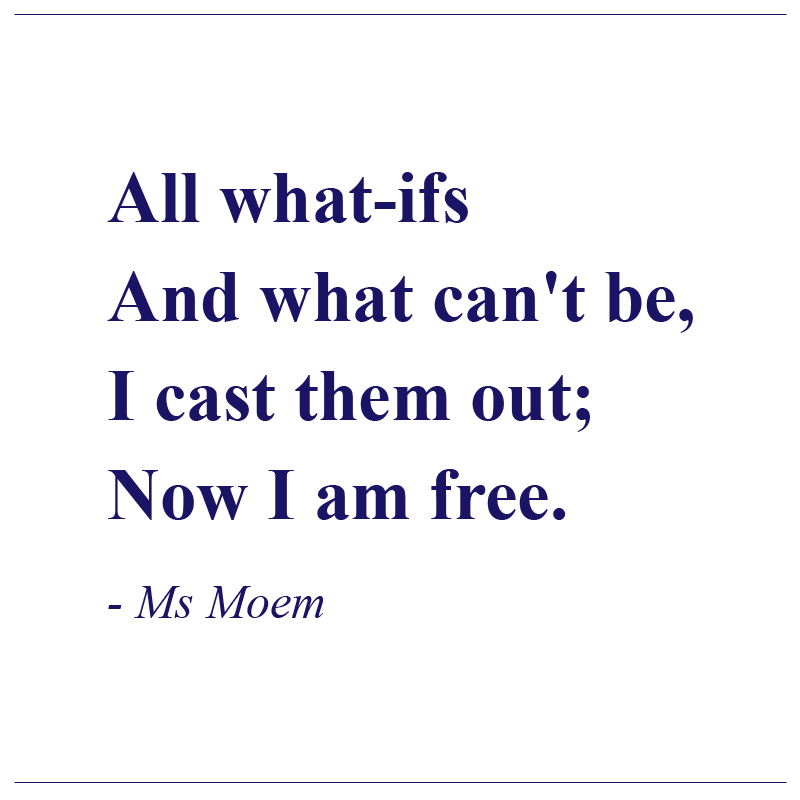 Big Ideas is a short poem by Ms Moem.